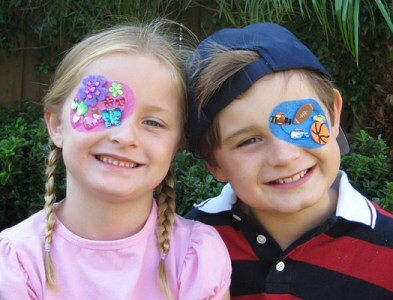 According to medical data is estimated to lazy eye or amblyopia affects about 2-5% of children. The lazy eye can be defined as visual defect that, once detected, can be corrected completely. How to identify our son/daughter has a lazy eye problem? What are the most obvious signs? What is the best treatment? These are some of the questions that we will try to answer to understand a little better what exactly the lazy eye is. The child with lazy eye experiences a decrease in unilateral vision. Visual defect that affects only one eye. In practice, the two eyes are not used simultaneously and with the same intensity. In other words, it is as if the child chooses to exploit the potential of one eye forgetting the other. The symptoms or signs to consider and that can make us suspect the problem is the presence of one eye larger than the other; discomfort towards light; a deviation of one eye; the child’s need to be often objects very close to the eyes; child habit of bending his head while reading, to draw or watch TV. There is no single cause that explains it. In fact, there are various factors involved in the onset of lazy eye. Since a problem of congenital cataract, which is one of the most common causes, that is, a condition characterized by opacification of the lens, requiring surgery; a misalignment between the two eyes or refractive errors affecting differently to each of the eyes, such as the astigmatism or farsightedness that affects the only one. The first thing to emphasize is that the eye neither can nor must be underestimated. The more time passes more likely that the problem tends to be chronic and difficult to resolve. If the baby continues to use the same eye, in the long run, it is customary to ignore the disturbing image that comes from each other, eliminating the perception. To avoid compromising the proper maturation of the visual system, it should act as soon as possible. Therefore, given the presence of symptoms or possible abnormalities, consult with your or pediatrician. To determine the most suitable treatment, the first step is to determine the cause of lazy eye. In the case of cataract often require surgery; but, for example, when it is a refractive error is usually sufficient to use a corrective lens. In the latter case, it is often also choose to cover the eye which is fine for a while, forcing the lazy eye to work and brain to accept the images that come from that eye.